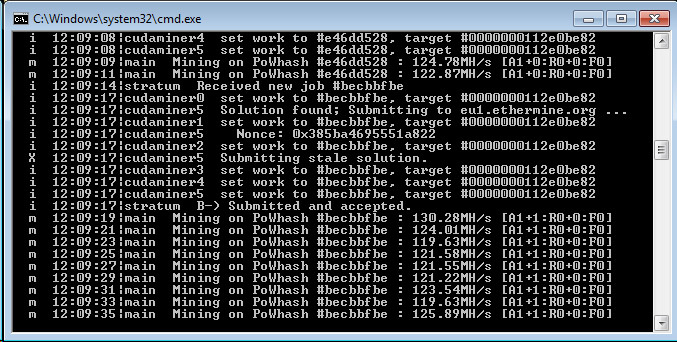 Genoil is working on a new release of his ethminer 0.9.41 fork version 1.1 pre-release (source) and here is a Windows binary of the latest version that you can try. Genoil’s fork of ethminer is targeted at Nvidia CUDA miners, but it also works on AMD OpenCL for mining of Ethereum (ETH). The latest pre-release version 1.1 is intended for testing as it brings some nice new features, but it might contain some bugs at the moment. You are welcome to download and try the compiled binary of the latest 1.1 pre-release version and test how the no need for DAG files functionality is working. 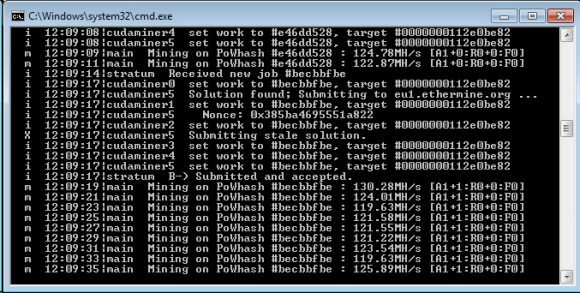 Of course the miner still needs DAG data, but it is no longer stored on your hard drive in the form of large files taking up space, the data is generated when the miner is stared on the fly and it loaded into the GPUs. There is also CUDA Compute 2.0 support brought back for older Nvidia GPUs, though on these older video cards the performance might not be that great for mining Ethereum anyway (you still need 2GB of video memory). Again, this is a pre-release version 1.1 with the idea for people to try and report how the new features work and if they find any bugs, so you are welcome to try it, but be careful as there might be some bugs and it may not be 100% stable.